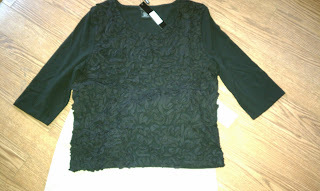 I don't buy a lot of clothes for myself, but when I do, I look for things that are well made and long lasting. These items might cost a little more, but I think investing in quality is extremely smart and frugal in the long run. I do have some favorite designer labels, but those labels usually come at a high price. So I was happy when I came across an online clothing site that offers designer labels at a fraction of their original prices. Label Shopper.com is a great place to take advantage of brand new, designer name cancellations or over-runs by manufactures. Often, the merchandise offered for sale here is simply the result of stores having to make room for newer items. Label Shopper is a great place to shop if you love getting great deals. 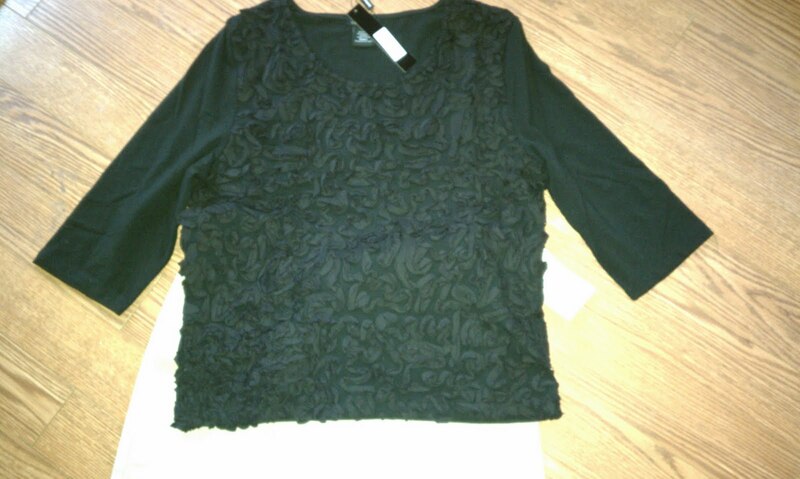 The blouse I am wearing here is a black knit ruffle pattern front with 3/4 inch sleeves. It's a designer label that has been deeply discounted. It is dressy enough for a night on the town, or can be casual enough to be paired with jeans. 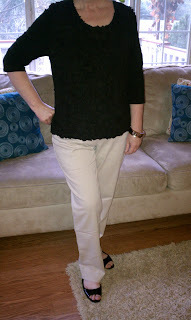 The fit is great and I love the feel of the material and ruffled front. 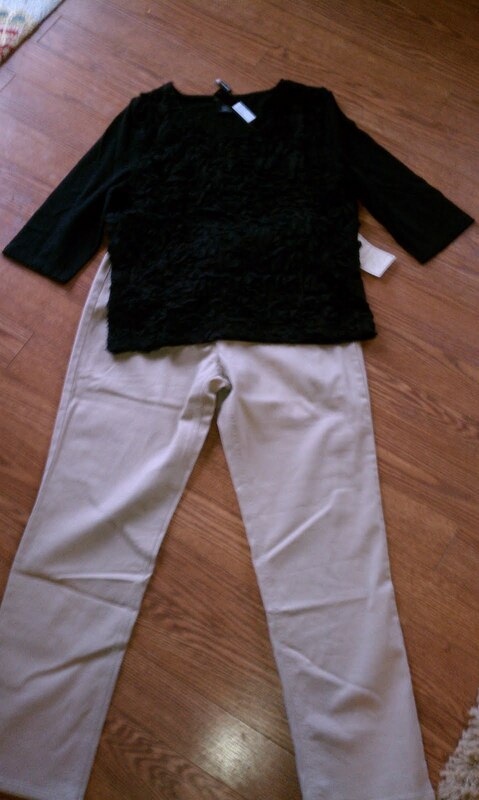 The pants are khaki denim, straight leg, and are a very well known designer brand. These jeans come with built-in slimming panels that will help shape your curves, and flatten your tummy with ease. These jeans are absolutely comfortable, and the khaki color will easily go with everything in your wardrobe. I will be shopping at Label Shopper again soon. I just love getting great bargains on all my favorite designers. Use the Code frugalfamily25 to save 25% off an order of $15 or more. One time use per customer. I love the Womens U.S. Polo Association Sneakers the best. The Womens Gold Rose Front Handbag looks very nice! I follow Label Shopper on Facebook under the username likwan. I follow Label Shopper on Twitter under the username likwan. I shared this giveaway on Facebook at http://www.facebook.com/likwan/posts/270564149658851. I tweeted the requested message on Twitter at https://twitter.com/#!/likwan/status/145775620880740352.